Today I’ve been inspired to join Quite Frankly She Said and What Katy Said‘s #HappyDaysLinky – I love the idea of keeping a record of all the things that I made me happy in the past week. 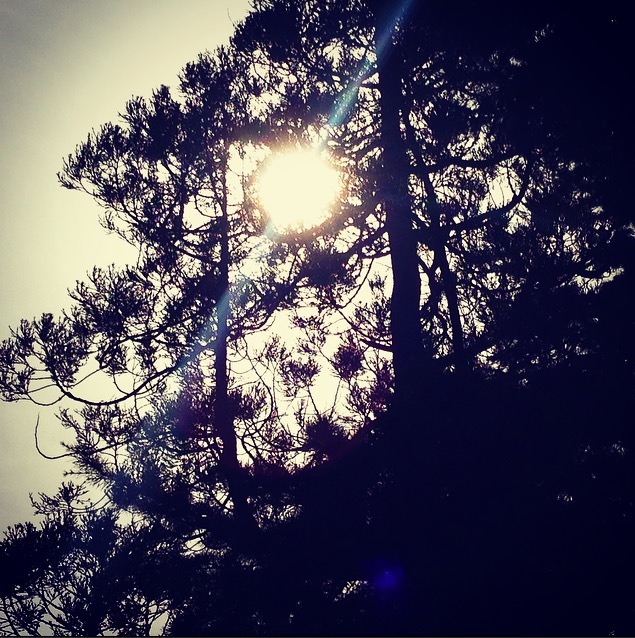 This week has been full of the gorgeous sunshine and enjoying the Easter holidays together. 1. The Spring sunshine in Brighton and watching the sun glistening on the water. It makes me feel so happy and really look forward to summer. 2. Visiting Spring Barn Farm with James & Emma and seeing cows, ponies, goats, guinea pigs and fluffy bunny rabbits; watching Emma find it all so intriguing. 3. Having breakfast with James and Emma and watching her laugh at her brother’s funny faces. Hearing her giggle from the belly will always make my heart sing. 4. My big brother visited us on Wednesday as he was unexpectedly in Brighton for work. I love having last minute visitors and it was amazing to have a good catch up. 5. Spending the weekend with my Mum and Emma – it’s always so wonderful to have quality time together. 6. A little time to myself on Wednesday and Thursday – you can read more about it here, I absolutely loved the moments of peace. 7. Organising Emma’s first birthday and booking a Bing cake – all very exciting and I can’t wait! 8. Emma babbling away and becoming much more vocal – I feel like the first word is right around the corner and I’m so proud of her. Also teaching her to high five! 9. Skyping J in the US, as I am missing him very much. I love Skype so much, it makes the world of difference being able to see each other when we are apart. 10. Getting some truly lovely comments on my blog, and being nominated in the MAD’s for Best New Blog & Blog of the Year – thank you whoever nominated me! Hope you’ve all had a lovely weekend, did you get up to anything special? What a nice positive idea to note all the things that made you happy, I’m glad to see that there were quite a few. I’m enjoying some holidays from work this week too, and hoping we get some spring sun. 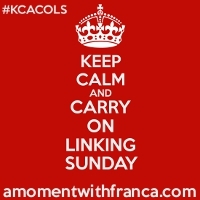 Thank you for sharing this positive post on #kcacols. I was sure I commented this post already but I can’t see my comment 🙁 So strange!! I was saying that you have put together a lovely list of things that you enjoyed the most last week. It is such a nice idea to do this so you are then more grateful about life!! I used to do a lot of skype with my family (they are in Peru) but lately we do more face time or facebook. They are both much better than Skype. Also whatsapp is really good for calls. It is so nice to be able to feel closer to your family even though you are miles away!! I love that about the internet!! Good luck with Emma’s birthday party!! Thanks so much for sharing this at #KCACOLS.